Pour-Over Acrylic Painting is back and with seasonal colors! Create 2 original pieces on canvas that make for great gifts during the holiday season! 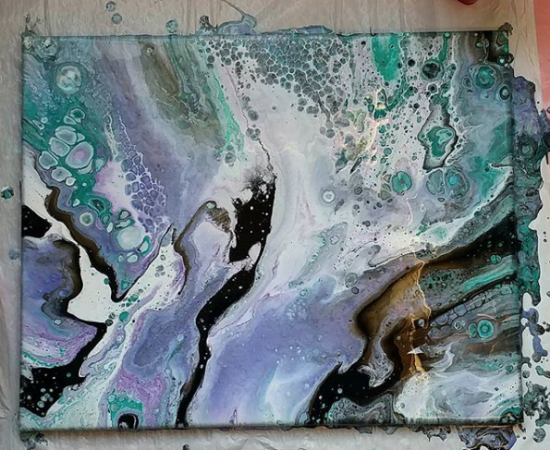 In this fun technique, we will teach you how to combine all your colors into a cup at once before pouring it over a canvas to make a unique painting that requires no brush. Admission includes two free glasses of wine! Please note, this method takes awhile to dry and you will want to pick up your final piece at a later time!